Criminology shines a light into the shadowy corners where criminals operate. It is the study of everything related to crime: perpetrators, methods, punishments, and, of course, victims, who are normally people. However, what if the victims are not people? Can criminological methods still work when the wronged party is not a human being at all? Is it possible to adapt them to combat the insidious and unnecessary crime against wildlife known as poaching? Many experts believe so. Poaching – the illegal capture, collection, or hunting of wildlife – has reached record levels around the globe. In South Africa alone, 668 rhinos were slaughtered during 2012, an astounding 50 percent increase from 2011. Asian-run crime syndicates are behind much of this poaching, as rhino horn is shipped illegally from Africa to Asia and mainly ends up in the hands of wealthy patrons in Vietnam and China, who imagine it to possess medicinal properties. Can traditional criminological methods form the basis of a new brand of justice – known as green criminology – to bring law and order to this Wild West landscape of poachers, their bosses, and their seemingly bottomless greed? The answer to this question begins with the victims. According to the Chicago Tribune, elephants, rhinos, tigers, lions, cheetahs, and more, are facing extinction at the hands of humans eager for trophies or seeking ivory for the highly lucrative global trade. Elephants have declined from a population of five to ten million in 1930 to only 600,000 in 1989, the year they were added to the international list of the most endangered species. In the case of rhino poaching, the culprits are well-financed and highly organized mobile crime syndicates. 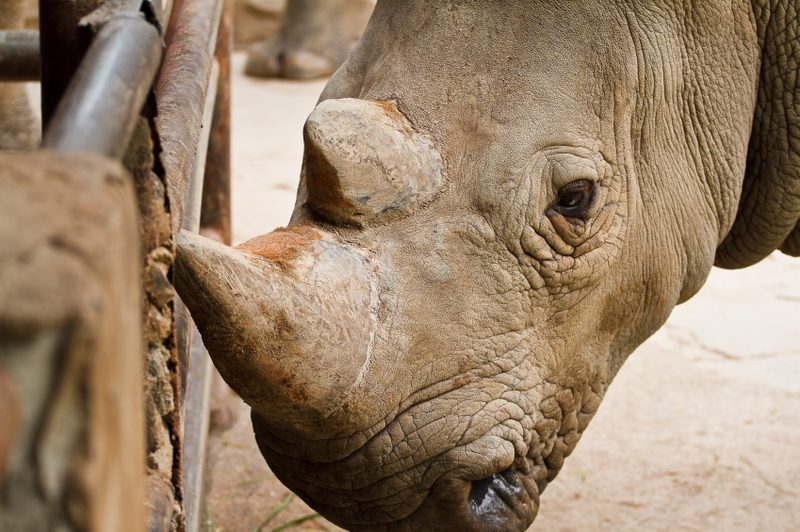 The high price of rhino horn is a main contributor to this recent spike in illegal trade. In South Africa, rhino poaching numbers have risen exponentially, from 13 in 2007 to 668 in 2012. Rhino horn, far from having amazing curative powers, is in reality composed mostly of the same material as fingernails, which experts agree are not among the most highly sought-after medical ingredients. Is there any way to stop this senseless slaughter? Yes, there is! But it calls for a new way of thinking. When you meld criminological practices with environmental issues, the result is green criminology. According to proponents, what is needed is to apply criminological thought to help fight some of the worst environmental problems. It approaches these problems by looking at the same elements as its more familiar cousin: crimes, criminals, victims, prevention, and punishment. Green criminologists go deeper, as well, by examining social, economic, and political factors to try to understand and define what the “crimes” are, and how and why they occur in the first place. Being clear about the sources of the crimes empowers investigators to more effectively prevent or stop them. Prevention comes after knowing the criminals themselves. At a recent Rutgers University School of Criminal Justice symposium on wildlife crime, the environment took center stage. Research was displayed demonstrating that these crimes follow the same patterns as seen in other areas of criminology. By understanding these patterns, we can prevent – or at least reduce – the continuing global poaching catastrophe. Rangers in Uganda’s Queen Elizabeth National Park, for instance, were outfitted with GPS-enabled cameras enabling them to cheaply document acts of poaching: times, locations, and more. Once patterns of location, tactics, and timing are understood, these rangers will know how to implement better ways to prevent the crimes. How Can Criminology Really Help? According to famed criminologist Ronald Clarke, raising the risk and difficulty levels for prospective criminals are two well-researched principles of crime prevention and, if implemented, could reduce wildlife crime in the larger reserves. Ways to accomplish them include adding more fencing, hiring more rangers, and raising worldwide awareness of the problem. More fencing around reserves makes poaching riskier and harder, and fenced areas have lowered poaching rates in South Africa, compared to its neighbors. However, in light of the record levels of rhino poaching, further work clearly remains to be done. Another vital aspect of halting the illegal trade that drives poaching is to raise awareness. Many of the people in Vietnam and China – who are among the main buyers of ivory trinkets or rhino horn – do not in fact realize that these animals are approaching extinction due to poaching. As with other illegal activities, says Clarke, greater awareness to reduce the demand for these ill-gotten products will be an important aspect of further prevention. For example, in 1989, Clarke burned 12 tons of poached elephant tusks in a public relations display to focus the world’s attention on the already-growing issue: his efforts were instrumental in crashing the value of ivory and slowing down the explosion of elephant killings for close to two decades. The remaining component of the scheme for reducing poaching is proving more troublesome to put into practice. Hiring rangers – and generally throwing money at the problem – doesn’t solve the issue, according to Kenyan scientist and conservationist, Richard Leakey. The problem is pay. Rangers in East Africa typically earn $500 per month. By contrast, if they sell ten elephant tusks, they’ll bring in approximately $10,000. Pitting rangers against poachers fronting for bosses with deep pockets often merely ends with the poachers buying off the rangers, who then compound the problem. Not convinced yet? For startling wildlife and conservation statistics, check out this Chicago Tribune article. Check out “What Is Green Criminology?” to learn more about the marriage between environmental issues and crime-solving practices. And, finally, visit WSU.edu for an informative article about conservation criminology. It’s a fascinating and increasingly vital topic. Those with a passion for both animal conservation and criminology will find it a worthy career path. It’s quite a satisfying idea, to turn the tables on poachers by applying criminology to interrupt their illicit activities. And what a great contribution, to help stop the death and destruction of wildlife poaching!